The black and white areas correspond to the notes on a piano. Clever, eh? You see, before I made them I had been stalking "proper" used bell sets for years and SO wishing I had the space for a REAL set of bells (no way that was going to happen!). Those things cost a gazillion dollars. Here's a good description of the work and it's importance. This idea of taking what is essential from The Bells lesson (part of Sensorial work, auditory) and replicating it is genius. And can I just say that I finished making this set several months ago, I finally presented the work this week, and not only did 3-year-old "Alleluia" love it, but it transformed what was becoming a cruddy, grumpy morning into a pleasant and productive one. That said, maybe you'd like to make these, too? You just go to Hobby Lobby and buy two sets of the bells (don't forget your coupon! ), spray paint one set white, the other set black, and make the felt board (buy foam core, adhesive spray and stiff felt in green, white and black). So worth it! Although at first not amused, Alleluia stuck with the lesson and then really got into it. The exertion required to ring the bells was decent exercise and definitely a nice way to channel her fidgety self. Also, since we do a lot of language work ("I Spy" and letter sounds), the careful listening required to match and grade the bells was great practice. 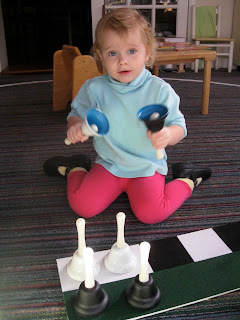 First I had her grade (sort) the white bells by listening to the pitch. Just like on a piano keyboard, the lowest pitch goes in the leftmost spot. I was surprised at how easy this was for her. If your child or student seems frustrated or confused you can start off by giving them the lowest bell yourself, then let him or her find which bell comes next. Notice that my "keyboard" is in two pieces? That's so that it is easy to store on the shelf. 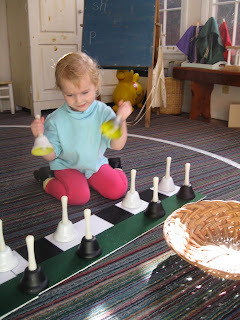 Once she had all of the white bells on the "white keys" of the board (with lowest pitched bells on the left, highest pitched bells on the right), I asked her to find the black bell that matched each white bell. This meant she would first ring the white bell and then take black bells out of the basket one-by-one until she found the match. Again, this was surprising easy for her. If your student is getting frustrated you might help by having him or her select a black bell from among just 3. Once she's found the white and black bells that seem to have the same pitch she rings them together and checks the underside (the color provides the control of error that every Montessori work should have). Still going strong. And this on a morning when she had been crabby and I was just about to throw in the towel. When she was all finished she played the whole scale, up and down. Obviously I've thrown in a lot of language ("high," "low," "pitch," "scale"). You don't have to cram all of that into the first lesson, but hey bring it on if the child is absorbing it all. When she was all done she rang the bells, going up the scale and back down. 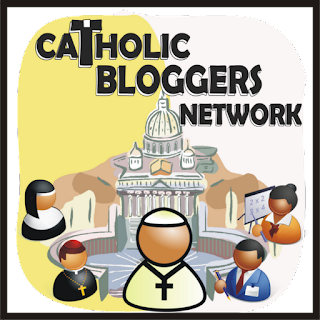 I don't think it's a big deal whether you put the white bells on the "keyboard" spots and the black bells on the green background or vice versa. You could always play games. For instance, you might sing, "This is C. Find me C." You could also add the flats and sharps, teach intervals, half-steps, whole steps, etc. Or you might ask the child to sing the scale. Question - how will you add the flats and sharps later since you have black ones (ours are brown)? Or since you're at home will you not worry about that? At least the tone bars (if you don't get the Montessori ones) are a lot more affordable! oops! our movable set is brown, with the white ones staying in place as control of error, so that we add the black ones for flats/sharps with brown ones to listen to. 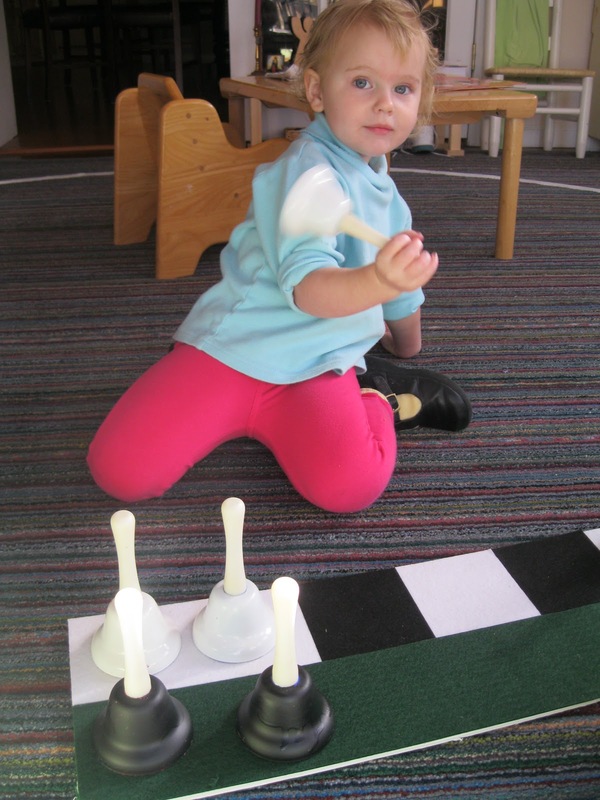 We keep the blacks/whites on the green, so the child places the brown ones on the black/white spots, so that the child creates the keyboard that way. But either way it's done the bells are so much fun!